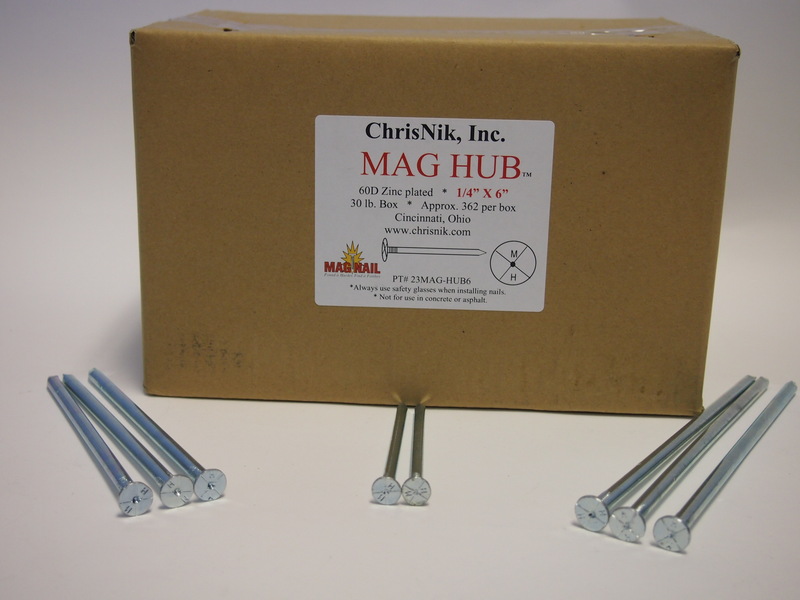 The MAG HUB is magnetized for easy detection and galivanized coating to resist corrosion. It has a large center point and looks like a standard survey marker. 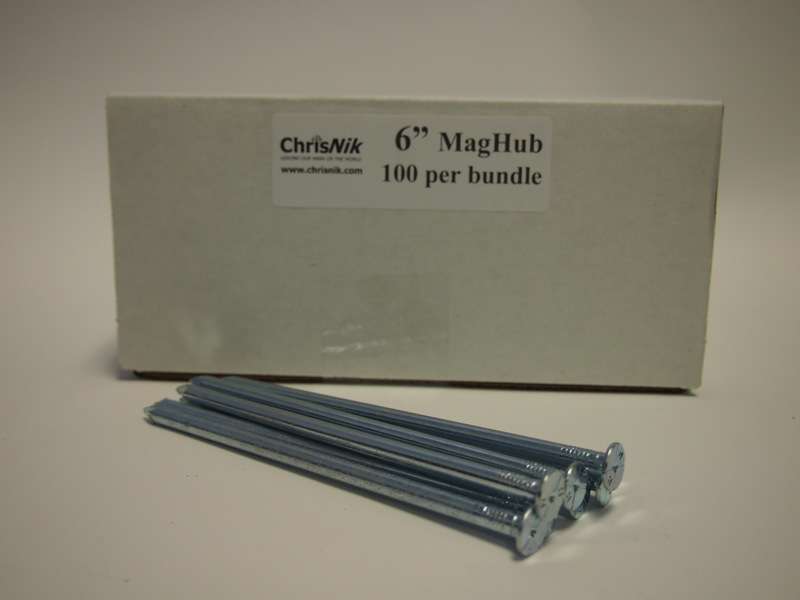 The MAG HUB is less than half the price of a stake and is easy to carry.